200 gaming titles at launch. 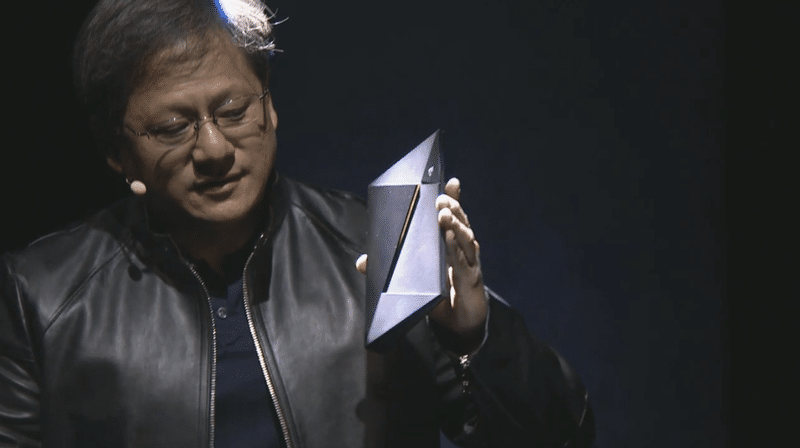 One teraflops of computing power. Support for 4K television. Access to a huge, and growing, library of on-demand games. And the ability to delve into a deep well of Android TV apps and entertainment. 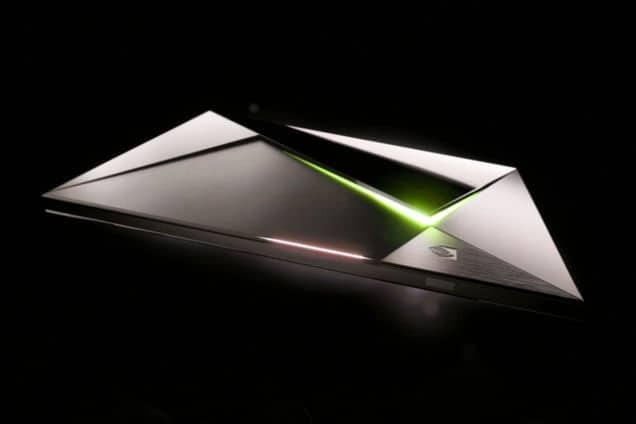 “Today we are introducing NVIDIA’s first living room entertainment device,” Jen-Hsun Huang told a crowd of more than 900 press, analysts, and game enthusiasts at an event ahead of the Game Developer Conference in San Francisco Tuesday night. We’ve been working on the technologies we’re talking about today for more than five years. Now, with SHIELD, you can bring it all together in a device that lives near the best screen in your house. Just as smart phones will be how we enjoy phones, smart TVs is how we will enjoy television, Jen-Hsun said. These devices will replace dedicated devices over time, just as an application has replaced your GPS, your music player, your radio, your camera. “Before you know it, applications will come along that surprise us,” Jen-Hsun said. 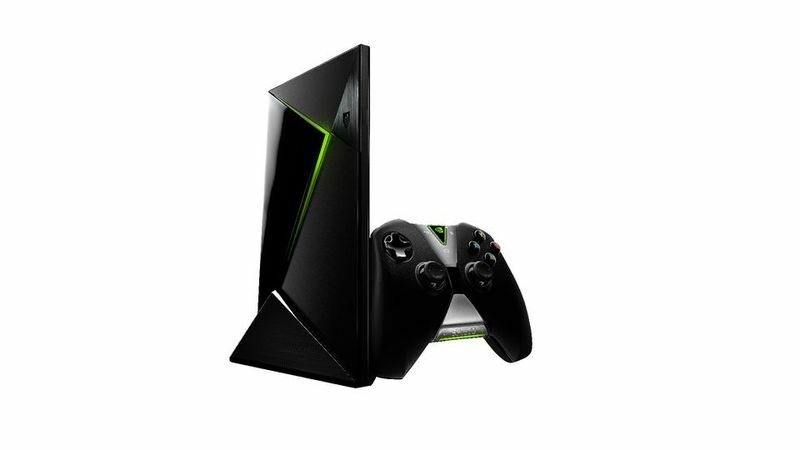 SHIELD runs the Android TV operating system. So, it works with your other mobile devices—and the rich ecosystem of apps built around them. Google Play. Pandora. YouTube. These apps do more than just work on SHIELD. They scream. Our Tegra X1 processor’s 256 GPU cores bring the power of our Maxwell GPU architecture to Android, cranking out 1 teraflops of computing power. That’s more than the world’s fastest supercomputer could just 15 years ago. That means SHIELD is ready to handle whatever multimedia comes next. It’s the first streaming device built to handle 4K digital media, hustling video onto next-gen TVs at up to 60 frames per second. “We think people using NVIDIA’s SHIELD console will love watching YouTube in 4K, thanks to the work NVIDIA did to make its Tegra X1 processor support VP9 video decoding,” says Heather Rivera, YouTube’s director of product partnerships. Getting content is easy, too. Call up movies and shows using Google’s shockingly accurate voice search. Use SHIELD’s included console-style controller or our incredibly-simple remote. You can even beam content to your television, via Cast, from Android devices. Of course, SHIELD offers great gaming, too. SHIELD is built with the same Maxwell GPU found in everything from supercomputers to the very latest gaming PCs. So it has graphics grunt to spare. The story behind that hardware story: we’re building the software and services needed to plug all that power into the thriving Android ecosystem. We’ll launch with 50+ Android titles that take advantage of SHIELD’s capabilities. These are games that break boundaries. Games such as Doom 3, Crysis 3, and Borderlands: TPS. And with support for as many as four players at once—on your big screen—these games become a social experience like no other. On SHIELD, they deliver action that will bring you—and your friends—to your feet. “I am positively thrilled that NVIDIA has once again proven their commitment to being the best graphics platform for gamers by making it their mission to bring Borderlands 2 and Borderlands: The Pre Sequel natively to the new SHIELD, driven by the incredibly powerful Tegra X1,” says Gearbox Software President Randy Pitchford. Tegra X1. Android TV. Support for 4K displays. 50+ android titles at launch. A great controller. SHIELD is about more than just a collection of powerful technologies. It’s about your games. Your music. Your movies. Your photos. It’s about your digital life. And bringing it all together in your living room. Bigger screens, sharper resolutions, cheaper prices. TV sets get better every year. And there’s no better showcase for your favorite games. We built SHIELD to connect that beautiful screen to PC and Android — the two most vibrant entertainment ecosystems on the planet. 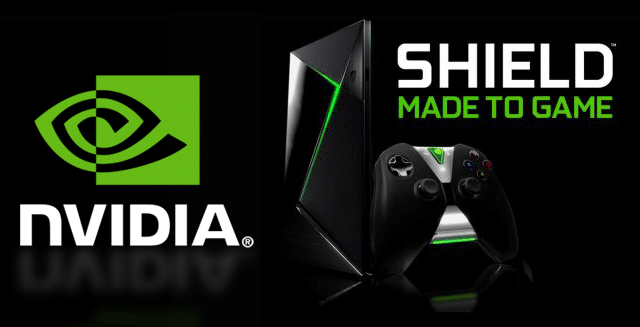 SHIELD’s 256-core Tegra X1 processor redefines what’s possible with Android games. And there’s more power where that came from. SHIELD can stream AAA games from GRID using our powerful GRID game streaming service. Get Rich, Immersive Android Games. Borderlands: The Pre-Sequel — This offbeat sci-fi shooter, the latest chapter in the Borderlands saga, arrived for PCs last October. Now it’s coming to Android as a SHIELD exclusive. War Thunder — Mix it up with opponents playing on console or the PC with this World War II multiplayer combat games, which makes its debut on Android with this SHIELD exclusive. Doom 3 BFG Edition — Doom kicked off the PC gaming revolution. Doom 3 updated this sci-fi shooter for a new generation of gamers. And Doom 3 BFG edition polishes this action-packed package to a high shine. Don’t miss it. Resident Evil 5 — An action-packed classic, Resident Evil brings a shot of caffeine to the survival horror genre this franchise pioneered. Crysis 3 — This sprawling open-world shooter is set in a richly-detailed New York, circa 2047 – and you won’t believe what’s happened to the place. Metal Gear Rising: Revengenance — the action in this hack and slash game moves fast, and SHIELD keeps up. If you like intense boss fights, you’ll love this game. Access a Deep Library of Amazing Games Streamed from GRID. Batman: Arkham Origins —- This is no mere rock ‘em, sock ‘em action game. The intense, atmospheric game lets gamers explore Batman’s early career as a crime fighter. A must for any Batman fan. GRID 2 — The model of a modern major racing game, GRID 2 delivers gobs of racing action in a wide variety of settings. Get ready to have your reflexes tested. Metro: Last Light Redux — This is a shooter with a unique sense of place. This post-apocalyptic shooter is set in the moody, mysterious world of the Moscow Subway, making it one of the definitive action games of our era. LEGO Marvel Super Heroes — If you have kids — or ever were a kid — you need on-demand access to this game, which brings LEGO and the Marvel comic book universe together. It’s a killer combo. Enjoy the Latest AAA titles. The Witcher 3: Wild Hunt — the untamed world of this action-adventure game is a graphics showcase, with stunning vistas and detailed characters. With GRID’s servers powering this experience, you can be among the first to experience this world when The Witcher 3 debuts this year. Metal Gear Solid V: Ground Zeroes — The latest edition of this stealth classic is a game you’ll replay again and again. So kick back on your couch and dig in. Dying Light — This sprawling open-world game pits a nimble hero against a world full of monsters. It’s a case study for how to bring fast-paced action and atmospheric adventure together. Resident Evil Revelations 2 — This latest chapter in the definitive horror shooter franchise delivers an intriguing tale (no spoilers here), and a terrific co-op mode. Middle-Earth: Shadow of Mordor — This is more than just a game for fans of all things Middle Earth. This game reinvents the action adventure genre. Enemies remember their encounters with you. And adapt to your playing style. Batman: Arkham Knight — The finale to this blockbuster series promises to be explosive. Get ready to don your virtual batsuit and return to Gotham City when it debuts later this year.